The segmentation of your market into various target groups produces relevant direct communication with minimal waste coverage. 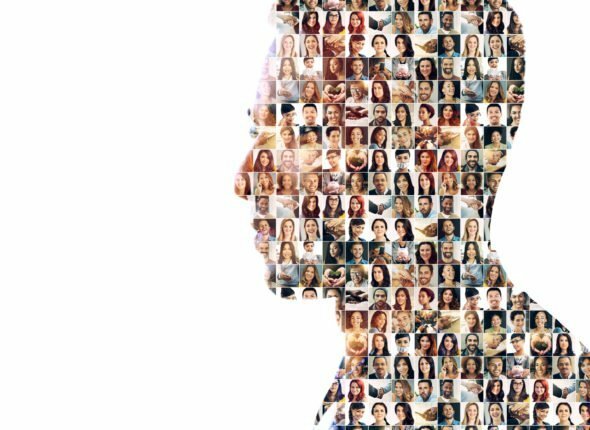 In this blog post you will find out how to simplify and improve the segmentation of your target groups with the help of our enhancements, so that you can achieve optimum results with your marketing activities. 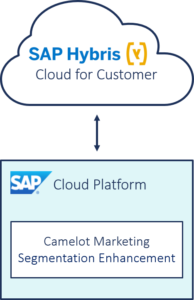 The standard functions from SAP Hybris* Cloud for Customer (C4C) permit selections based on the following criteria: customer, contact person, reports, tickets or external sources. However, further selection criteria or expansion options are not available in the standard version. For this reason we at Camelot ITLab have developed the Camelot Marketing Segmentation Enhancement. Our solution extends the target group generation options within the C4C to include the entire database, and it supports even more complex segmentations. This means target groups can be created based not only on customer and contact person data – other business objects can also be integrated. Our solution is rounded out with an illustration of the segmentation model. In the following sections we would like to introduce you to the segmentation tool and its integration into C4C. 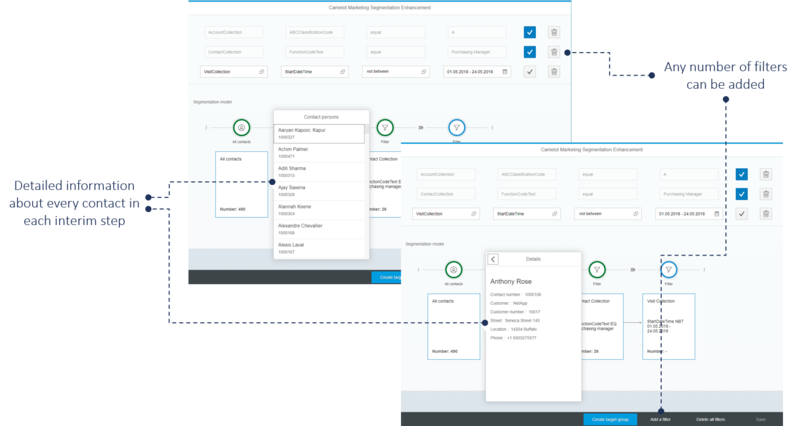 The segmentation tool is an SAPUI5 application, which is located on the SAP Cloud Platform. Through the integration as a mashup, the extension can be used directly in C4C. This means the external application can prepare the data and also display it directly in C4C when creating the target groups. 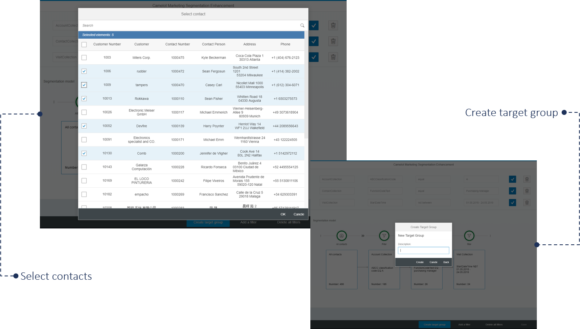 By using the Fiori client, the design of the SAPUI5 application also matches your selected Fiori themes perfectly. For example, here is the “Blue Crystal” theme. How does the segmentation tool work? The segmentation tool is split up into two areas. In the upper area you can enter the business objects, criteria, operands and values. These entries are used to filter your C4C data. For example, contact persons and customers can be selected on the basis of opportunity or visit data. With the help of extensions you can enter and link an unlimited number of criteria. Multiple filters must be added via the GUI for this purpose, however. 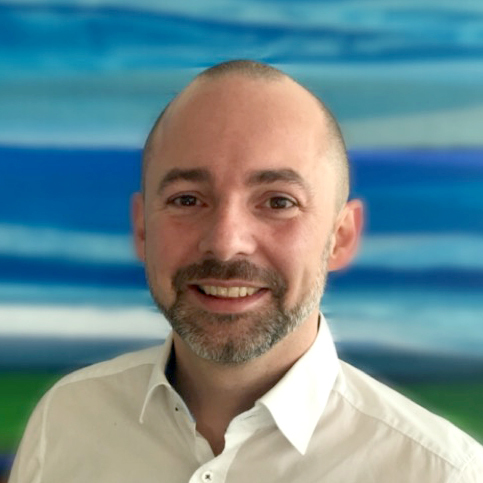 For example, more complex selections such as “all sales managers from A customers with completed opportunities of over €5,000” could be selected. Furthermore, you can also define negative selections and value ranges. By doing this you can, for example, select customers that you have not visited over the last few months. To ensure you can maintain an overview of your segmentation, the segmentation model is shown in the lower part of the application. The interactive visualization is updated after every entry and allows you to monitor your given selection criteria and intermediate results in real time. This means you can already view detailed customer information during the segmentation process after each filtering step. The contact persons and customers, which you have identified during segmentation, can be transferred to a new target group during the next step. You can either select all identified contact persons and customers or manually remove individual contacts beforehand. The resulting target group can then be created in C4C and viewed as usual via the Work Center Sales Campaign. What sets the segmentation tool apart is that it can be extended at any time. This means any number of business objects and operands can be entered whenever you like. We would, of course, also be happy to adjust the functionalities in line with your own individual requirements. With the Camelot Marketing Segmentation Enhancement tool, segmentation in C4C can be extended to cover the entire database, to which you can then apply more complex filtering. Thanks to the interactive visualization, you entries are more comprehensible, and you can create a new target group in just a few simple steps. Have we aroused your interest? If you have any questions on our Enhancement tool, please feel free to contact our experts at any time. *Note: The name of the SAP Hybris suite was changed to SAP C/4HANA in June 2018. For further information please visit the SAP website.